Image Size: 2335 × 3759. Trish couldn’t resist putting the wrought iron bench under the garden arch for this photo. They make a lovely pair. 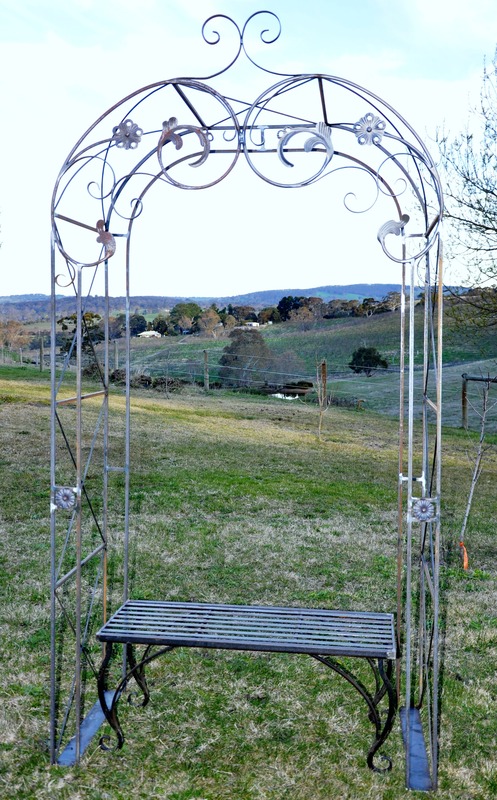 Wrought iron garden arch with ornate top, teamed with wrought iron bench seat.